Our Mission This Holiday Season: To Provide Young People an Opportunity That Will Change Lives. Forever. Thank you for your interest in our journey to Honduras! Since 2006, we have been privileged to serve the people of Honduras in Central America. When we arrived, we were grieved to find that centuries of broken homes had created a culture of poverty and immorality where young people struggled to find a way to break the cycle of destruction. Over the last several years, through the support of people like you, we have provided homes, education, and careers for young people across the impoverished nation. Now, we are beginning our greatest challenge yet. With your help, our goal is to send life-changing hope to Guimaca, Honduras in the form of pizzeria equipment. This equipment will be given to several young people in the local community, providing income, stability, and a plan for the future. We will also rent and renovate a storefront, purchase the initial food product and supplies and cover the first six months of operating expenses as these young people develop this new career. After his father died while Rigoberto was still a teenager, he was living in a one room cement building with four walls and a dirt floor; he had no bathroom, no bedroom, no hope and no direction for the future. 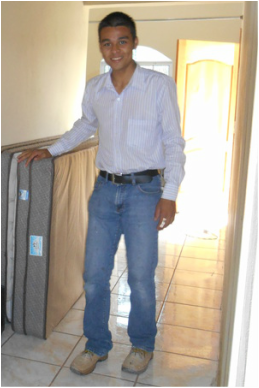 Now, through support from people like you, Rigoberto’s life is completely transformed. He is fluently bilingual, dedicating any available time, energy, and resources to help other poor children in the community. He will be managing the pizzeria, using the income to start a family and employ other young people in similar situations. Years ago, Gustavo's father abandoned his wife and children to seek a new life in the capital. Gustavo's mother struggled valiantly to raise her children alone, squeezing into a tiny, dilapidated house and cooking meals over an open fire. Now, although Gustavo is active and respected in his local community, he has been unable to find steady employment. Without our help, he, too, would be forced to leave her behind and move away. He will work alongside Rigoberto when the pizzeria opens. Only 19 years old, Nancy has dedicated her life to mentoring and training the young women in her community. She uses her natural strengths and warm personality to empower young women to make wise choices, pursue much-needed education and make a difference in the lives around them. This summer, she traveled throughout the United States volunteering in pizzerias and church kitchens to obtain experience for this project. She is returning to Honduras with the pizzeria equipment to take charge of pizza production. 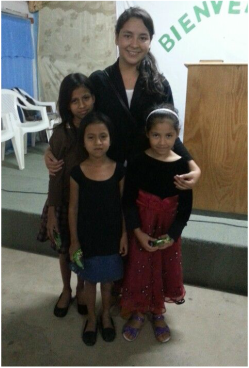 The income from the pizzas will make it possible to continue her work among the young girls of Guimaca. Fathers for the Fatherless, Inc.